In an effort to maintain the highest standards of health and safety for all our guests Catterlodge has established some specific requirements for boarding in our facility. Please take a few moments to review our requirements to avoid any confusion or misunderstanding. We can only board fully vaccinated cats. You must provide a current vaccination certificate when checking in your cat(s). 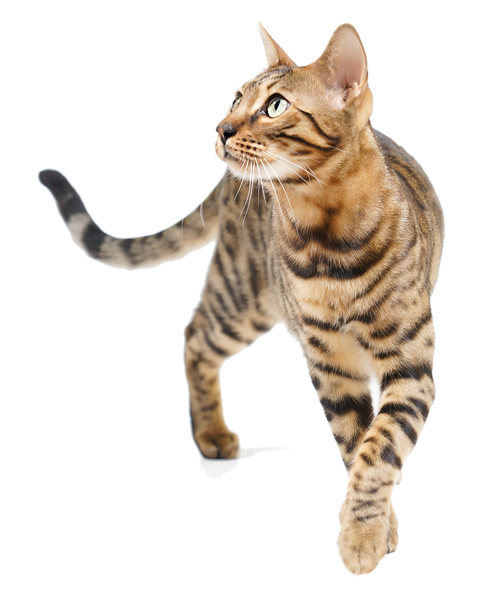 We ask that your cat's flea and worm treatment be up to date. We can only board cats that have been neutered or spayed. We provide a wide range of supermarket brands of wet and dry food including some premium brands. If your cat requires a veterinary brand of food or specific diet then you are welcome to bring this along with you. It's compulsory for all cats to be microchipped. I recently had to leave my precious baby at the Catterlodge while I was away. I felt at complete ease knowing she would be taken care of by the wonderful ladies there. She loved her home away from home. Thank you both so much! I am so grateful for Catterlodge. The owners, Jenny and Rocky took great care of my cat, Lexy while I was out of town for a week. They took the time to play with her and gave her the attenetion she needed. I know my cat and she is an attention getter and loves to play. She was spoiled at The Catterlodge. I look forward to leaving Lexy at Catterlodge again because I know she is in safe and in good hands. Thank you Jenny and Rocky, you are the best. I would not trust anyone else other than Jenny and Rocky with the care of my 2 precious fur babies. I know that while my cats are under their care I can have 100% peace of mind that my kitties are well loved and safe. Am always a bit afraid that my cats won't want to come home with me! We would love to hear from you. Just click on the link below and leave us a note! Jenny & Rocky! Thank you so much for the loving care that you have given my cats. It is such a wonderful feeling to be able to travel and not worry about my kitties. Thank you Jenny and Rocky for the wonderful care you give to Priness. She always returns home very relaxed and happy. We have a very demanding cat but Jenny and Rocky returned her to us in perfect condition. I congratulate them on feel sure if they can handle this wild animal, all other cat lovers should be confident their beloved family member will be well cared for and, what's more, cuddled and generally pampered. I can not recommend Catterlodge highly enough! These 2 lovely ladies are cat entthusiasts surpassed by none, and have a special way with kitties. I have housed my precious girl with them several times, once for nearly a year while we were FIFO, and to say they looked after her is not doing them justice at all. My cat was a "Greta Garbo" as in she was always very touch-me-not. They brought her out of her shell and now she is a real affection bug who has never met a stranger. I credit them for that. My girl was pampered beyond belief, as are all boardies, in first class accommodations, with every luxury and treat you can imagine. If you love your cat(s), boarding with Catterlodge is a must do for those times that you are away!